Where is the Best Green Chile Burger in Santa Fe? When you stay in Santa Fe, you’ll be asked to pick a side in the red or green debate! Red and green chile is a staple in New Mexico. You’ll find these tasty ingredients in nearly every dish including everything from New Mexican classics to Americanized favorites, one of the most popular being the green chile burger. So, where can you find the best green chile burger in Santa Fe? You can find the restaurants that have the best green chile burger in Santa Fe and more in our complimentary Vacation Guide! We know that planning a trip can be challenging, so we created our free guide to save you from hours of research. 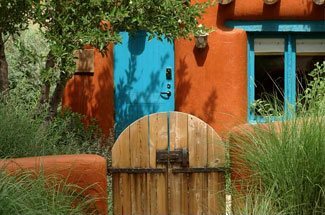 This list of handpicked, local recommendations has helped countless travelers plan their getaway to Santa Fe, so get your copy today! The Shed in Santa Fe is known for its delicious take on New Mexican cuisine. It would be only fitting that they have one of the best green chile burgers in Santa Fe! Both locals and visitors flock to this popular eatery night and day. On their lunch menu, you can top their famous Shedburger with roasted green chile. A treat for the tastebuds, you’ll want to come back to The Shed over and over again. 10 ounces of chuck and sirloin make the base of the green chile burger at the Santa Fe Bite. A smoky green chile is spooned on top then draped with a blend of Swiss and American cheese. Don’t let the small dining room and brightly colored walls deter you; this may just be the best green chile burger in Santa Fe. Many think the best green chile burger in Santa Fe is at this small burger joint. The Burger Stand at Burro Alley offers many burger varieties, but their green chile stands out. Order your selections at the bar along with delicious craft beers, then find your seat! If you’re looking for a casual place to dine, this is one of the best options. Tune-Up Cafe is an incredibly popular eatery in Santa Fe. If you’re looking for more than just a burger, your group will find plenty of variety here. Known for both their red and green chiles, this tasty topping will be found on many of the menu items. It’s also an optional topping on their burgers, of course! If you want to experience the best green chile burger in Santa Fe, you’ll have to stay here! 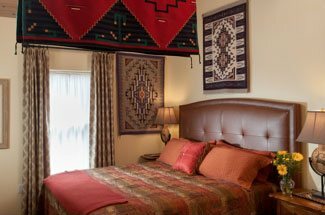 Stay with us at Four Kachinas. Located in the heart of the city, we’re in the best spot to explore the rest of the area. Whether you’re looking for restaurants or hiking through the surrounding mountains, you’ll be just moments away. 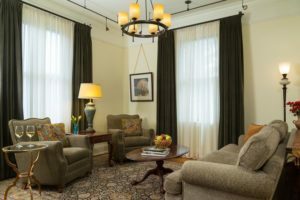 Begin your planning by browsing through our cozy accommodations. Each features authentic New Mexican decor and luxurious amenities. It’s time to book your stay!